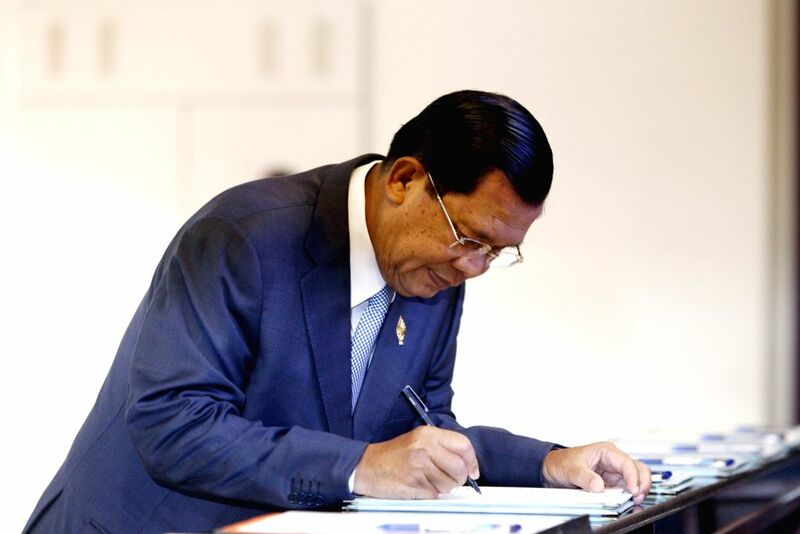 PHNOM PENH, Oct. 30, 2015 - Cambodian Prime Minister Hun Sen registers his attendance at the National Assembly in Phnom Penh, Cambodia, Oct. 30, 2015. 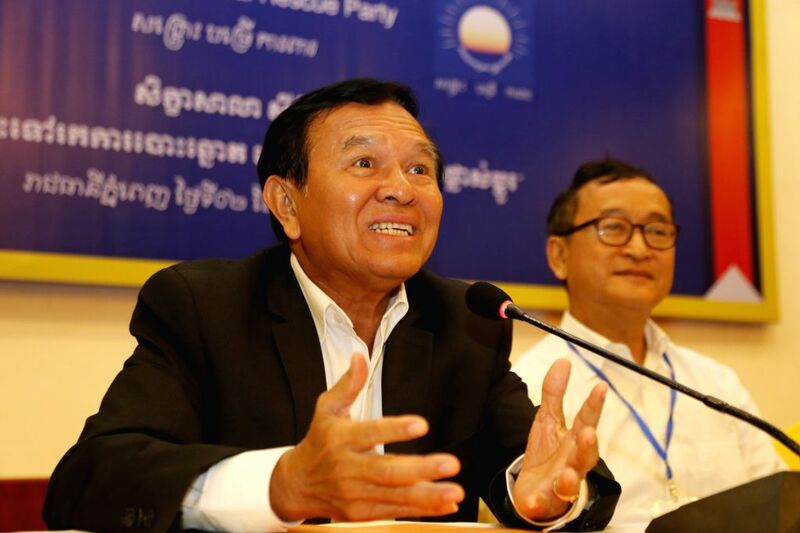 The National Assembly voted on Friday to remove opposition Cambodia National Rescue Party (CNRP) vice president Kem Sokha from the post of the parliament's first vice president after a proposal from a majority of the lawmakers. Opposition Cambodia National Rescue Party (CNRP) vice president Kem Sokha (L) speaks during a party conference in Phnom Penh, Cambodia, Oct. 2, 2015. The National Assembly voted on Friday to remove opposition CNRP vice president Kem Sokha from the post of the parliament's first vice president after a proposal from a majority of the lawmakers.